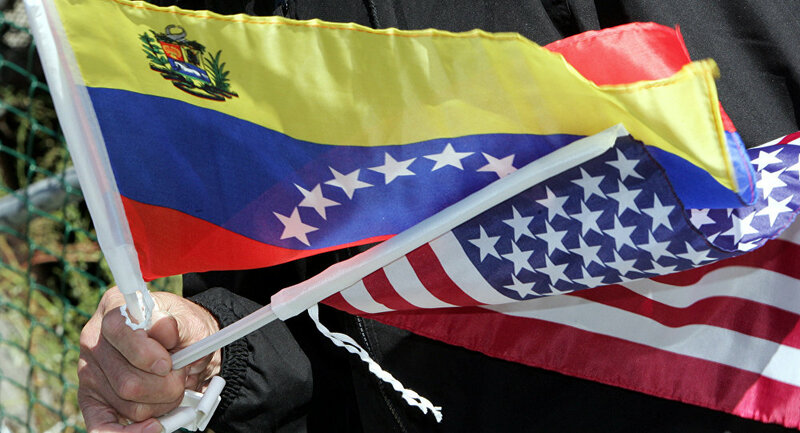 MOSCOW (Sputnik) - The United States has delivered the first batch of humanitarian assistance for Venezuela to the aid collection center in the Colombian city of Cucuta, located at the Venezuelan border, the US Department of State said on Sunday. "The United States is proud to announce the arrival of the first shipment of relief supplies being delivered in Cucuta, Colombia for the Venezuelan people. We will continue to work with @jguaido [Juan Guaido, self-proclaimed Venezuelan interim president] and our partners to deliver humanitarian aid to Venezuelans in need," the Department of State posted on Twitter. Venezuelan government claims that the country does not experience a humanitarian crisis, with President Nicolas Maduro, who holds Washington responsible for staging a state coup in Venezuela, having slammed US assistance as a "political show." It was reported earlier in the week that the Venezuelan military had blocked access to a bridge uniting Cucuta and the Venezuelan city of Urena in order to prevent possible deliveries of humanitarian aid. Meanwhile, Guaido, who has been challenging the presidency of Maduro, welcomes humanitarian aid from abroad. The Venezuelan opposition has announced its plans to hold an international conference for attracting humanitarian aid to Venezuela in Washington on February 14. Guaido proclaimed himself the country’s interim president on January 23. While the United States and a number of allies back him, Russia, China and Mexico, as well as several other nations, support Maduro as the country's legitimate president. EU states were expected to issue a joint statement recognizing Guaido, but Italy vetoed the motion.